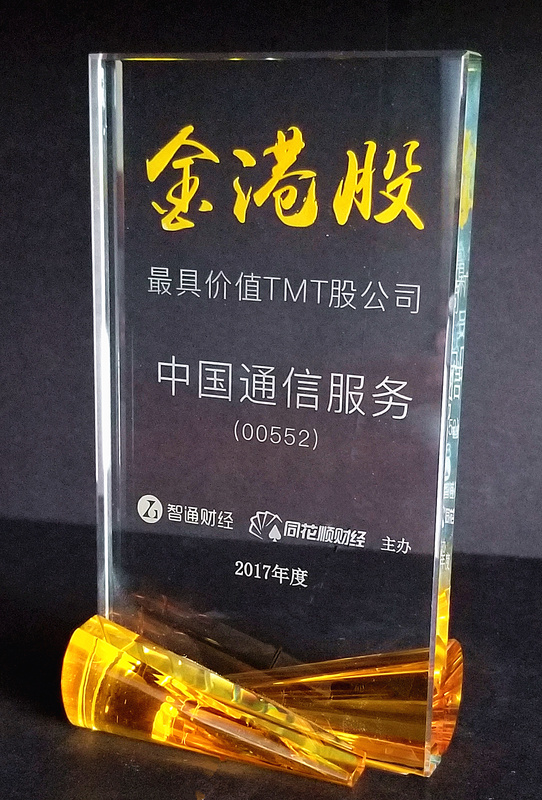 China Comservice Won the Awards of "Best Growth Value Listed Company" and "Best Value TMT Company" in the 2017 "Golden Hong Kong Equities Awards"
China Communications Services Corporation Limited won the awards of "Best Growth Value Listed Company" and "Best Value TMT Company" in "Golden Hong Kong Equities Awards Ceremony" ("Golden Hong Kong Equities Awards") organized by the PRC leading financial media. 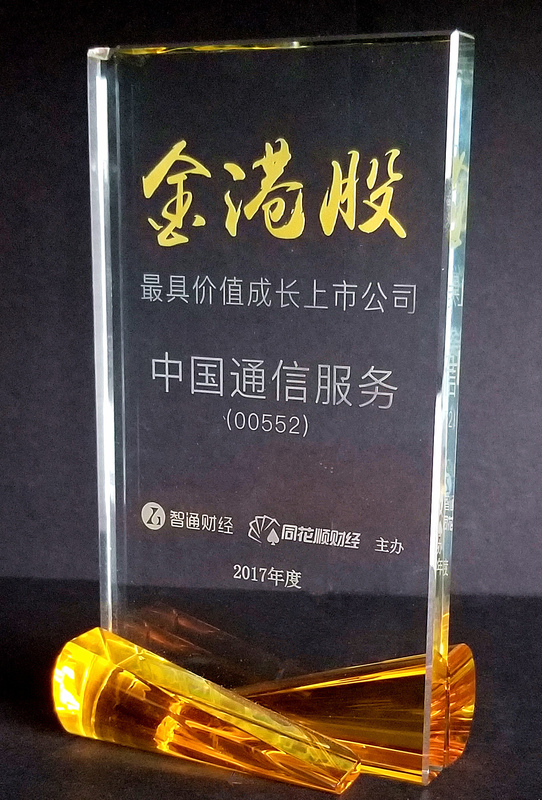 "Golden Hong Kong Equities Awards" is co-organized by the PRC leading information service platform for Hong Kong equities - Zhitong Finance and leading financial data service provider Tonghuashun Finance. The judging consists of a review by a panel of judges made up of renowned securities firms, economists on different aspects of the company including its business growth in the past year, increase in share price, trading volume, social responsibility, and compliance of information disclosure. The awards also incorporated the results from online voting.